Awards season is underway and as much as we love seeing deserving celebs receive nominations for their hard work, our biggest excitement comes from ooh-ing and ahh-ing at all the beauty on the red carpet. 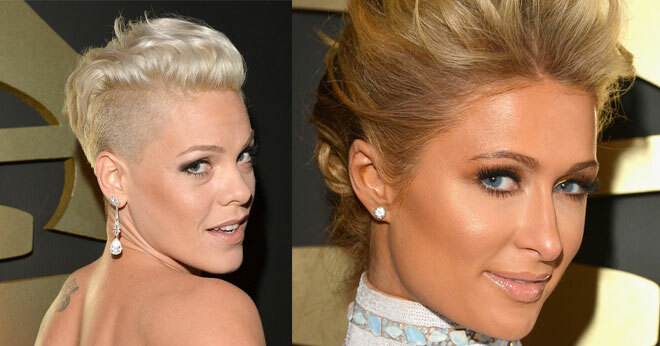 We selected our top ten favourite hair and make-up looks from the 2014 Grammy Awards. Who do you think wore it best? 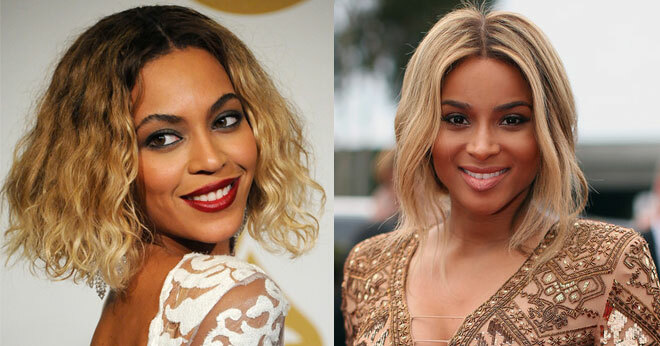 We adore Beyoncé’s (new) wavy bob and thought Ciara’s glowy complexion lit up her already gorgeous skin tone. 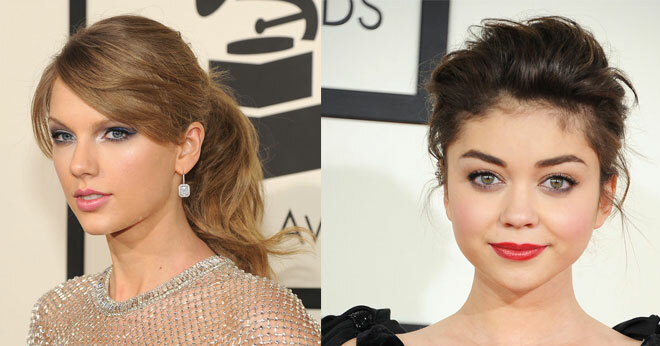 Taylor Swift looked youthful and modern with a soft pony and side-swept fringe, while Sarah Hyland showed off her gorgeous full eyebrows with a pretty up style. Rita Ora always gets it right, and last night her purple eyeshadow complemented her stunning outfit perfectly. Queen Latifa was on trend with gorgeous berry lips and rosy cheeks. Never one for boring hairstyles, Pink rocked her signature short hair with confidence. We love how her longer locks were combed back for effortless chic. We haven’t heard from Paris Hilton for a while, but thought her darker, honey-blonde hair colour looked fab and much more natural than her usual platinum shade. Teen sensation Lorde looked like a regular teenager (which we love! ), showing off her natural hair and clean complexion, but with wine red lips. We think this look suits her music and personal style to perfection. Kelly Osbourne’s mauve bob looked chic and sophisticated and somehow worked wonders with her red pout! I’m not a fan of Beyonce’s hair. It looks rather dehydrated. Love Taylor’s look. As much as I hate to admit it, Taylor Swift may well be my favourite look here. Would love to know how to get that do! Paris Hilton looks fantastic, more mature and sophisticated. Kelly Osbourne’s mauve hair doesn’t do it for me but I understand the interest factor; its her claim to fame. Love Rita Ora – her nails were amazing too! Ai no, Beyonce was just a flop, when is she going to wear her short hair out? Kelly Osborne looks fab, wow. Paris looks surprisingly attractive, I like her hair. I’m not a fan of Lorde, I find her a bit odd looking. i love Queen Latifa and Ciara’s looks. 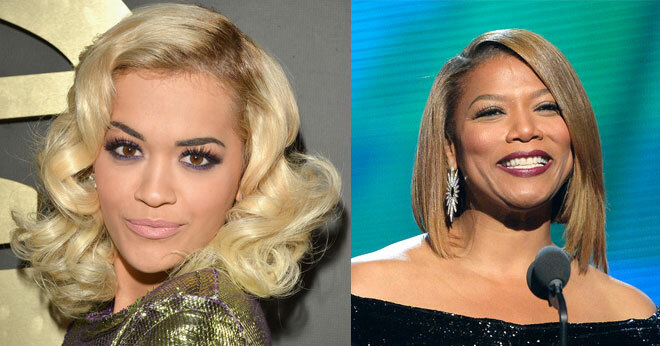 Queen Latifah’s sleek bob looks very sophisticated. 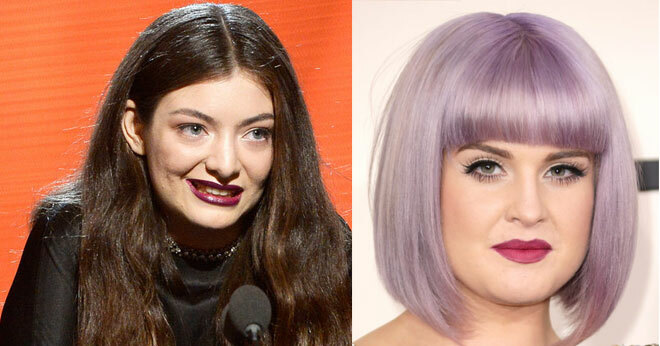 After many months of seeing Kelly Osbourne’s Mauve hair, I still don’t like it. We agree – Paris’ look is so on trend.